Car title cash loan shops offer help (at a price) to those in dire financial straits but how desperate must one be to get a cash fix at any of these 15 places? 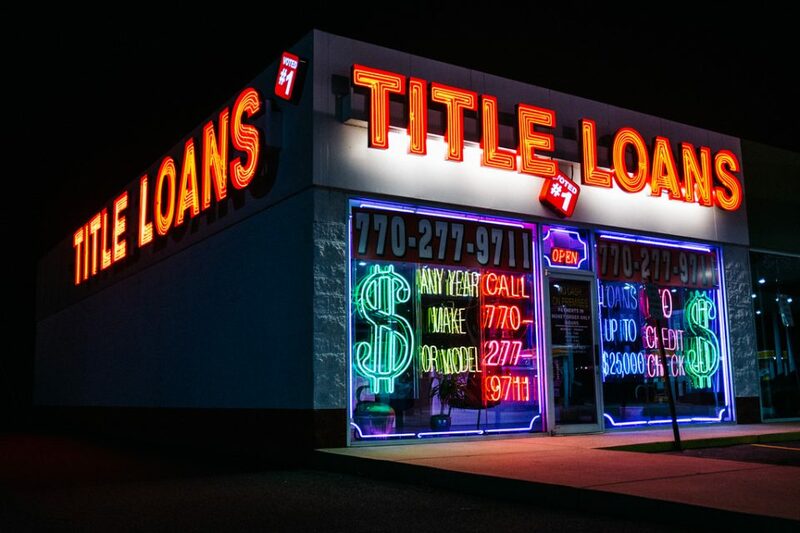 Car Title Loans, Payday Loans and similar businesses have been criticized for taking advantage of vulnerable segments of society by charging exorbitant interest rates… well excuuuse me, the electricity powering those garish neon signs doesn’t grow on trees! 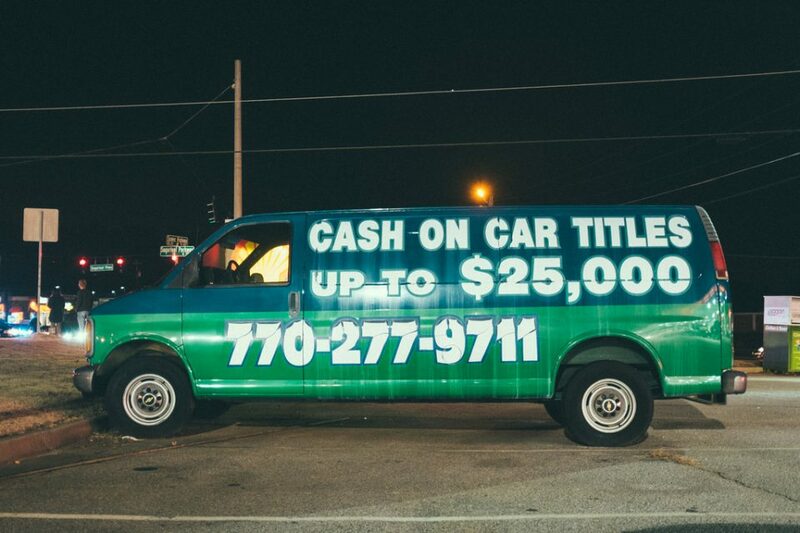 Flickr member Andy Sapp captured one such brilliant display (plus a bonus “FREE CANDY”-style advertising van in the parking lot) in Lawrenceville, Georgia back in December of 2014. 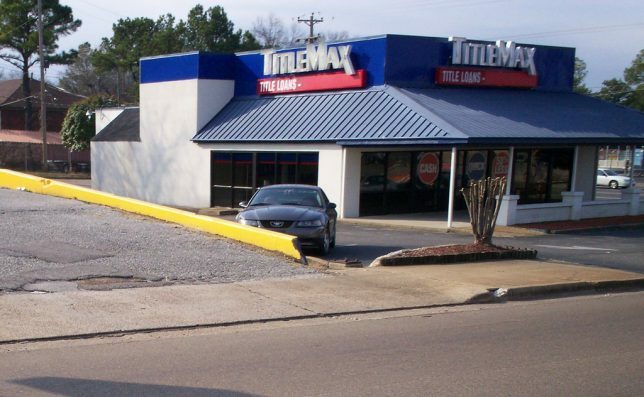 Something’s fishy about this TitleMax shop in Memphis, Tennessee but relax, it’s probably just the lingering aroma of Arthur Treacher’s fast food fried fish: the formerly green roof is a dead giveaway. 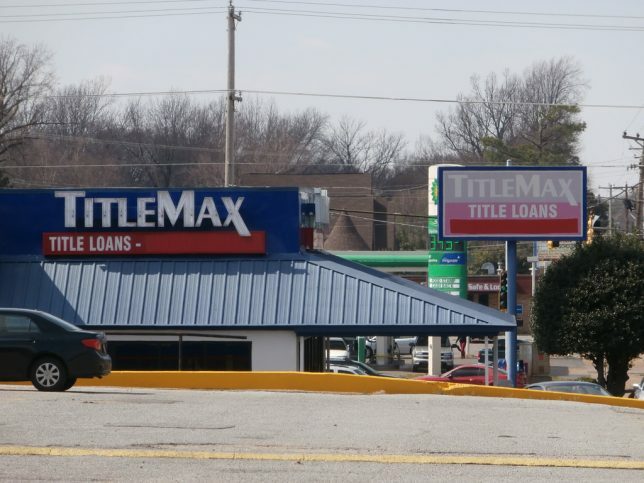 In any case, TitleMax may have issues of its own as these photos snapped by Flickr member I_dawg2000 several months apart in early 2013 show the “Cash Advance” text on the shop’s signage painted over. Hmm, a loan shop that doesn’t give out cash? Seems legit. 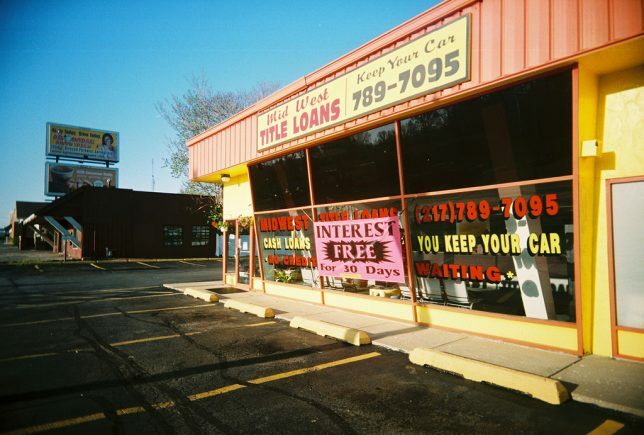 Flickr member BullyRook snapped the above “mobile” title loans shop on April 20th of 2008. 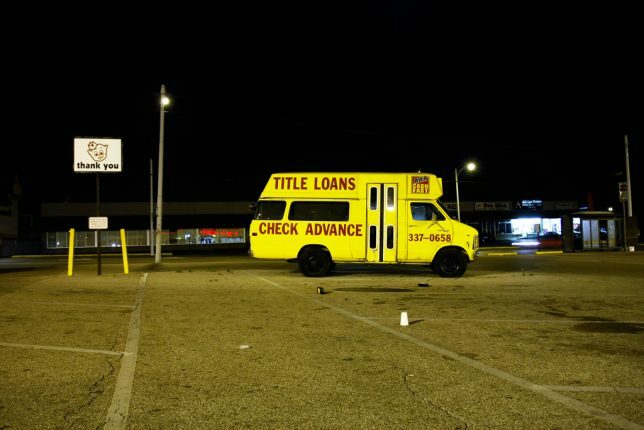 Oddly enough, it’s also in Memphis… are title loan advertising vans a Memphis thing or what? More importantly, do they give out sweet treats to their customers? 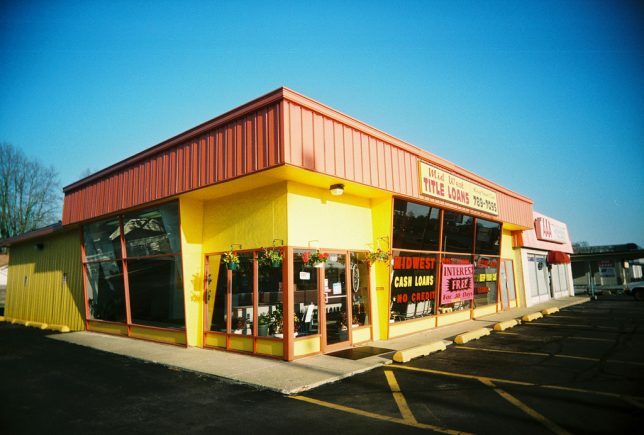 Colorful Mid West Title Loans in Springfield, Illinois may look deserted but don’t let the lack of activity fool you – Flickr member Jackie (Dabadoo) may have simply chosen an early weekend morning to shoot the scene. And what a scene it is: hanging potted plants vie with enticing come-ons such as “Interest Free for 30 Days” and “You Keep Your Car”, though one commenter at the photo page hints the latter promise lasts only “until we come get it”. 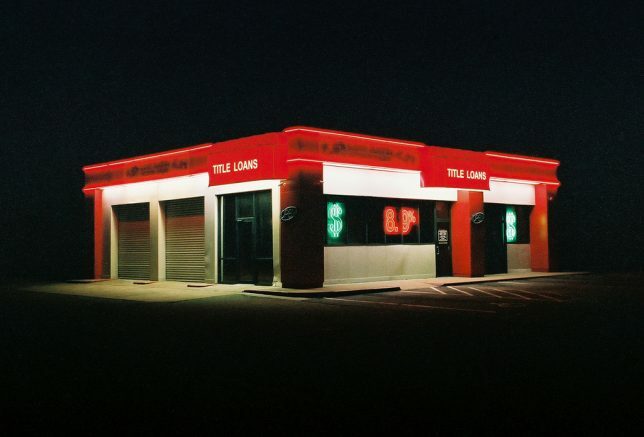 Flickr member Andy Sapp is back, this time with an otherworldly shot of a title loans shop in Tucker, Georgia. “This place was lit up like a space ship!,” states Sapp, who presumably has seen a spaceship (or the movie Close Encounters of the Third Kind) in his travels.